The classic geometric motifs of Safavieh's flat weave Dhurrie Collection are equally at home in casual, contemporary, and traditional settings. We use pure wool to best recreate the original texture and soft colourations of antique dhurries prized by collectors. The Dhurrie weave is native to India, and every step in our production process faithfully follows the traditions of local artisans. The results are natural, organic and with wonderful nuances in pattern and tone. 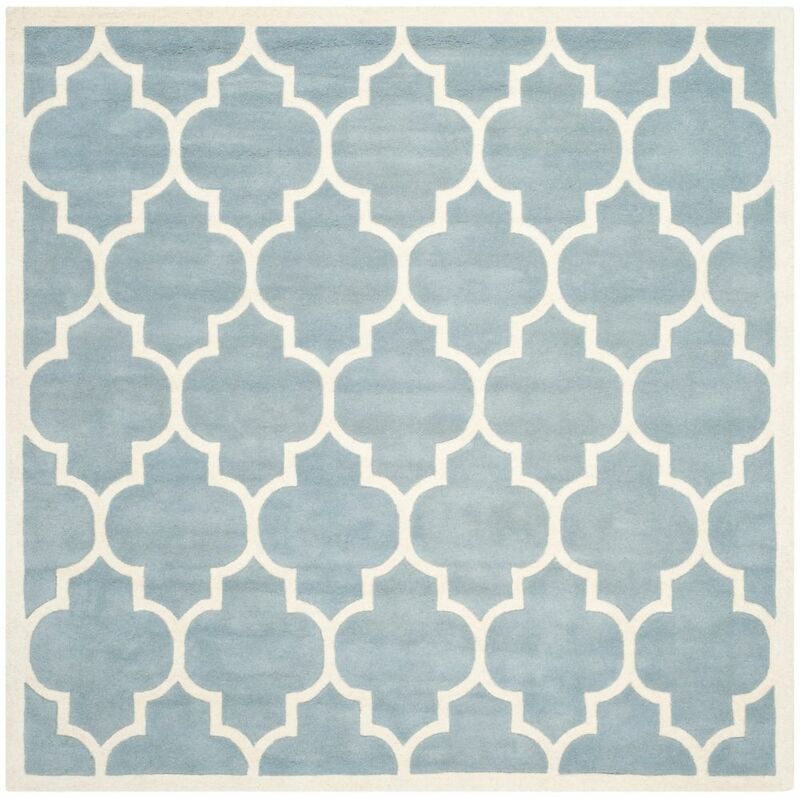 Chatham Caprice Blue / Ivory 7 ft. x 7 ft. Indoor Square Area Rug The Chatham collection by Safavieh contrasts ancient Moroccan motifs with a fashion-forward palette of bright and pastel colours. This transitional and contemporary rug offers a thick wool pile in modern designs to complement any home decor. These stunning hand-tufted wool rugs are crafted in India to recreate the elegant look of hand-knotted carpets for today's lifestyle interiors. This is a great addition to your home whether in the country side or busy city.